Sunpenny has published several memoirs in the past, all of which have been of unique interest in their own area. We are now proud to introduce you to Phil Hall, whose Bangkok to Ben Nevis Backwards has recently been launched as both a paperback and an ebook on Kindle. Rather than us telling you about Phil's memoir, we asked him to write a guest post giving us some background into the book. Thank you, Sunpenny, for inviting me along to talk about my book. 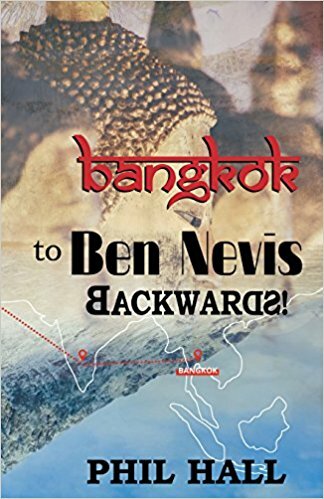 ‘Bangkok to Ben Nevis Backwards!’ is a collection of my thoughts based on a particularly eventful 18+ months in the lives of the Hall family. It starts back in 2011 when, debt ridden and simply fed up of chasing my tail, I convinced my wife and son that a move to Bangalore was just what the doctor, and bank manager, ordered. So we upped sticks and made this move without too many thoughts about what we were letting ourselves in for. Sadly though, just before we left the UK, I realised that my father’s Vascular Dementia was at the latter stages and I realised that the poor fellow wouldn’t even recognise me the next time our paths crossed. The book takes the reader through a somewhat topsy-turvy journey to India, Thailand, and back to Scotland. Along the way I discovered that I could write for money, thanks to an Indian article mill, and I haven’t stopped since. India didn’t turn out to be exactly as awesome as I had managed to convince my wife and son; in fact, it was a major disappointment but that was mainly down to my woeful lack of planning. So we moved to Thailand, the country of my wife’s birth. Her family were there and we thought that we could start our new lives with the help of those people. However, a few months later, my wife was attacked and butchered like a lamb in the slaughterhouse by none other than a family member. Unfortunately, Thailand and justice are not common bedfellows so they managed to get away with this near-murder with just a small fine and a slap on the wrist. Needless to say, we moved away from the family and their unorthodox idea of hospitality and I started teaching in a rural school. My lovely wife recovered physically but the mental and emotional scars will never heal. 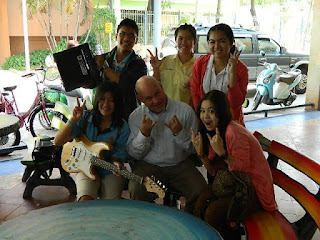 For about a year, we did have a great old time and my son picked up the Thai language very quickly indeed. We also had some rum adventures ranging from a King Cobra in the garden to elephants trying to break into the house in the middle of the night. Tragically, my father’s condition deteriorated and the day he was taken away from my mother, I knew it was time to return back to the grim reality of life in 2013. The adventures didn’t stop there, though, and on the day that poor old dad gave up the good fight, I decided to share my memoirs with the rest of the world. As a writer of many years practice, I was happy that I managed to finish the complete book and hope that my dear father is finally proud of his once wayward middle child. I also hope that readers will enjoy my cautionary tales and will either learn how not to do things or be inspired to take the plunge and go travelling! Thank you so much for joining us here, Phil. 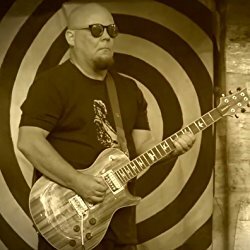 We understand you are writing a novel now and that you are also a guitarist in a rock band – a man of many talents indeed. And here on his website where you can find his blog.